"Magenest helped us to design a completely unforgettable online luxury experience." I'm satisfied with Magenest extensions and their support team. 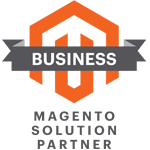 "Magenest helped us to fix bugs caused by the previous team and performed a full site migration and development seamlessly"